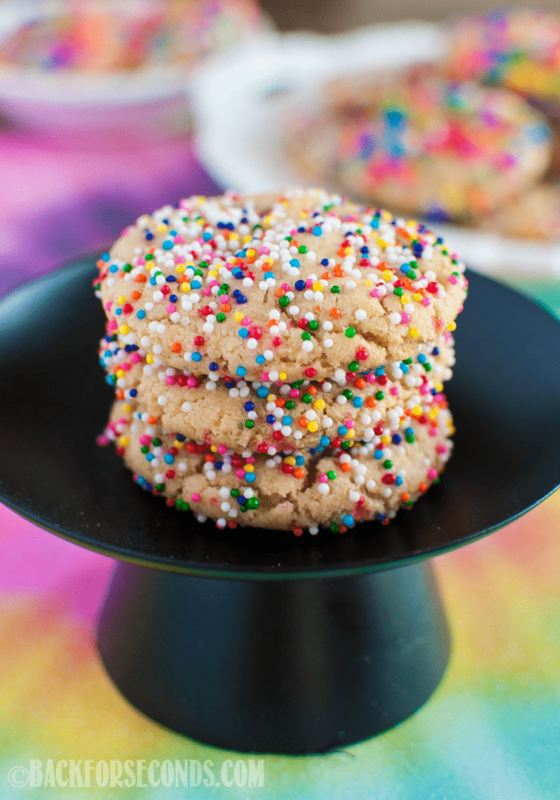 Chewy Rainbow Sprinkle Cookies are so fun and festive, with (or without) a milk chocolate center! A secret ingredient makes them completely irresistible! Have you ever seen a happier cookie? 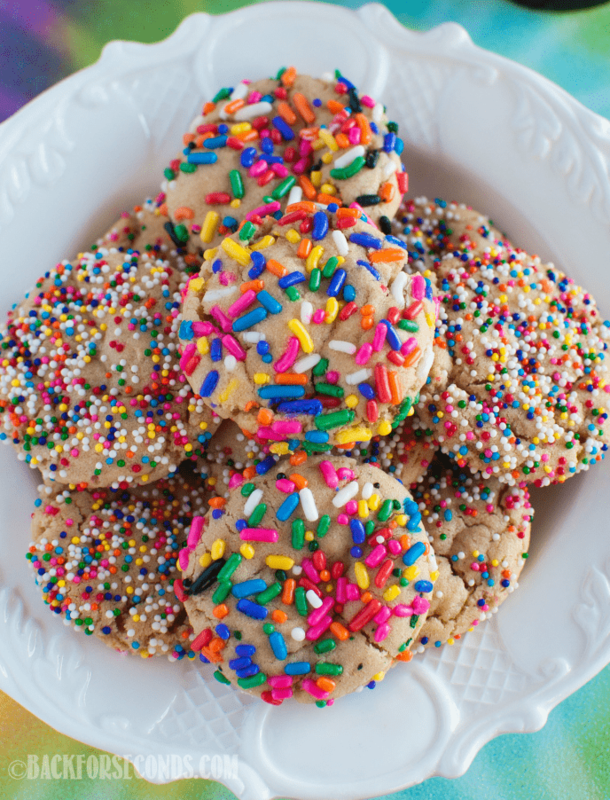 These colorful sprinkle cookies are perfect for just about any occasion or celebration. Not only are they pretty to look at – they are completely delicious too!! Meet our newest rainbow baby. Isn’t he adorable?? 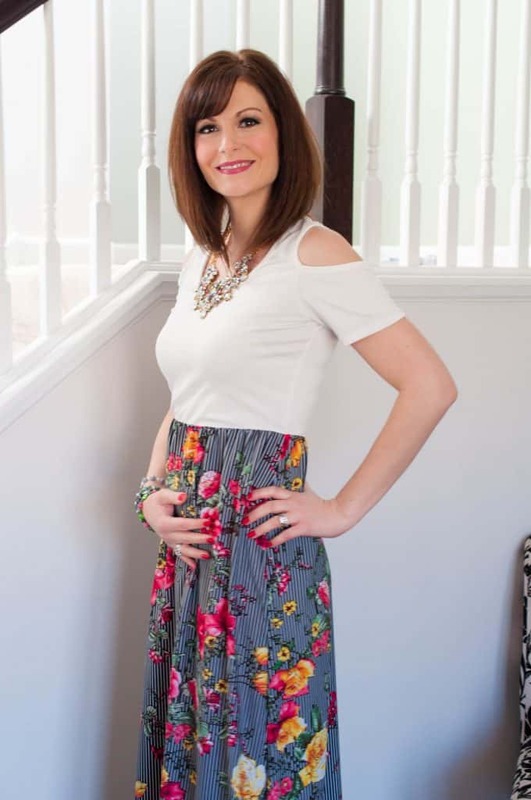 🙂 Baby number six is coming this summer, and not to point any fingers, but he is the reason I have been absent for so long. I have been so sick and could not stand the sight or smell of food. There was no way I could have tested new recipes for Back for Seconds. I couldn’t even stand to post pictures of food on Instagram. It’s been rough, but all for good reason! 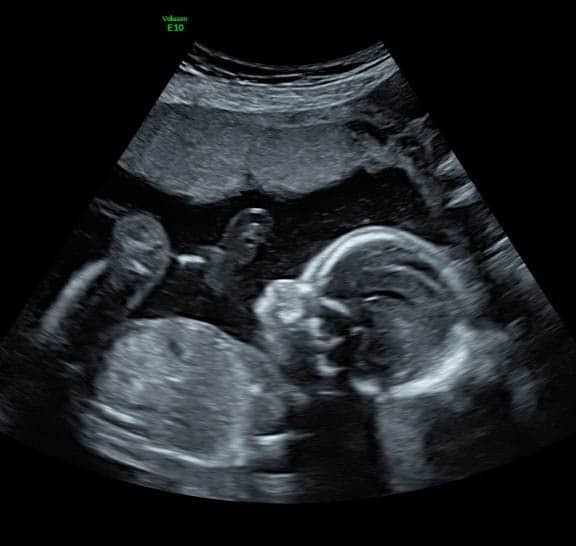 This will be boy number five for us! Our poor daughter was so hoping for a baby sister, but she has been so sweet and is already in love with her littlest brother. 19 weeks (or less!!!) to go!! I’m telling you, no matter how many babies we have, it never gets any less exciting. In fact, I think it’s even more fun to see our other children get so excited too! They cannot wait for this babe to be born and are agonizing over the LONG wait, haha! They are all so young still that most of them don’t quite understand the concept of time, so basically this just feels like forever. During this time we also renovated our entire main level of our home – including the kitchen!! It looks like a whole new house now and really feels like “us” now. I’m so glad we did it, but i am even more glad it’s done, haha! Now you are all in the loop and see we have much to celebrate! 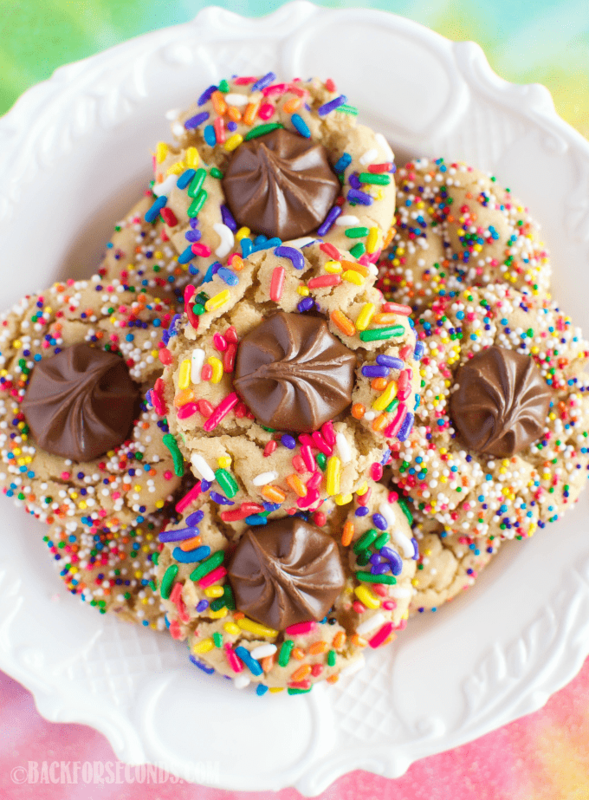 These cookies just scream happy to me, and I think they are perfect for parties – or random days you just want a cookie! 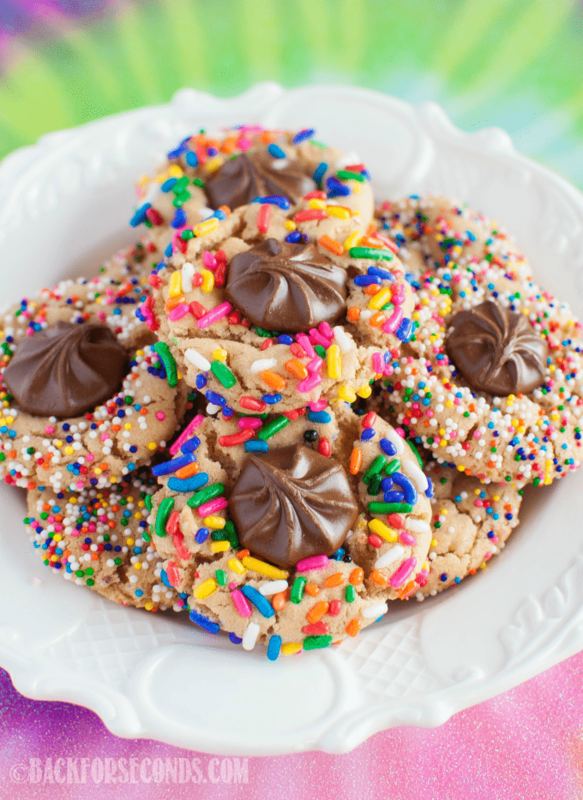 They are chewy with a secret ingredient that sets them a part from all other sprinkle cookies. The sprinkles add a nice crunch to the outside of the cookies too. Whether you add the chocolate or not, these cookies are sure to put a smile on your face. Also check out my Halloween Sprinkle Cookies and my Christmas Sprinkle Cookies – they have been made and loved my many of you already! Can’t wait to try the cookies–they look yummy! So colorful, too. 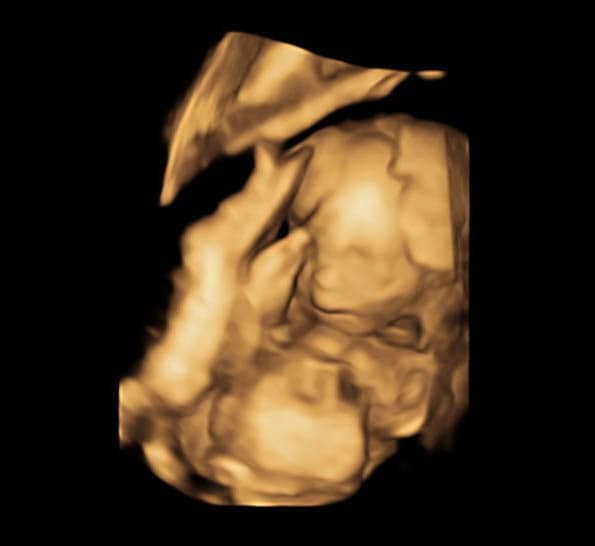 Love the ultrasound photos–congratulations! Babies are such a blessing. I will be a grandma for the second time in October and I can’t wait. God bless you and your beautiful family! Congratulations!! Babies are always a blessing! 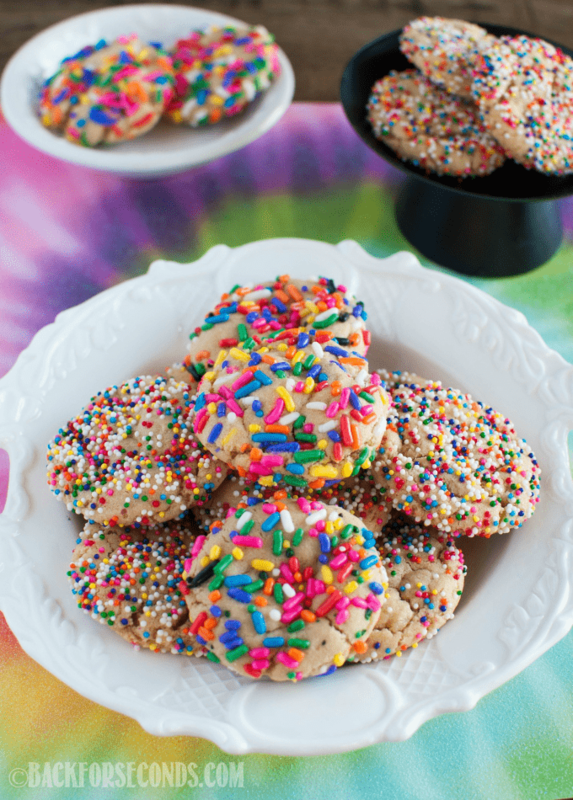 I love all the sprinkles in these cookies — can’t wait to bake a batch. I am so very happy for you, what great news. God bless!